Fancom is focused on modern pig and poultry houses. Fancom develops total house management systems for both sectors, consisting of climate control, feeding automation, biometrics and data management. Naturally, the parts that make up the systems differ per sector. Our objective is to create the optimum conditions for our customers, both in the buildings that house the animals and in their operational management. We do this by combining climate control, feeding automation, biometrics and data management in such a way that the synergy this creates gives you the optimal benefits. Fancom is the global leader in the development of IT and automation systems for the intensive livestock husbandry sector. We are convinced that the future landscape of livestock husbandry will be determined by the choices we make today. The exploding population rate combined with economic growth will result in a massive demand for animal proteins. Upscaling is therefore unavoidable. However, it should take place in a responsible and sustainable manner, with the fullest attention for transparency, food safety and animal welfare. Fancom’s ambition with iFarming™ is to create a new, global benchmark for animal welfare in livestock husbandry systems. To make this ambition a reality we are engaged in a continual search for new, innovative technology that will help create efficient house management and enable animal welfare to be measured. Consumers consider animal welfare to be paramount. They determine the quality of food not only by the safety of the end product, but they also require safeguards about the welfare of the animals used to produce that food. 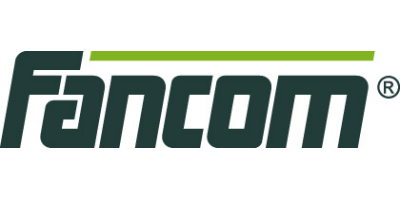 As a specialist in IT and automation systems, Fancom focuses on entrepreneurs. Together with entrepreneurs we aim to take their business operations to the next level. Fancom develops ground-breaking total concepts that fulfill the IT and automation wishes of those entrepreneurs in agriculture all over the world with a keen eye for ease of use, animal welfare, and results.